Al Jefferson is looking for the next destination of his career and that place could be somewhere in Europe. 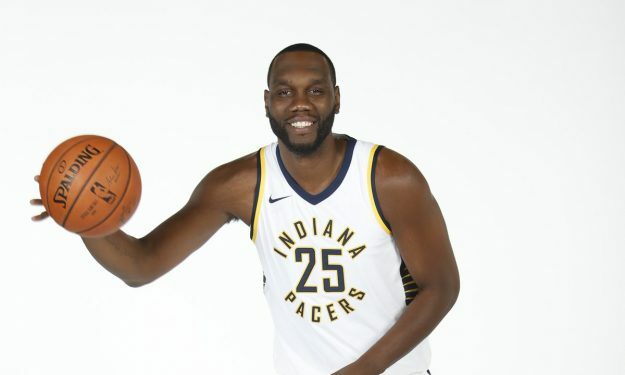 NBA veteran Al Jefferson is considering playing outside the NBA next season, Indiana Pacers president and general manager Kevin Pritchard said during the press conference for the presentation of Tyreke Evans and Doug McDermott. “I think he [Al Jefferson] plans on going overseas and play,” Pritchard answered when asked if the door of the team is closed on Jefferson. Prichard’s quotes mean that Europe could be an option for Jefferson who was waived by the Pacers earlier this month in order to clear some cap space. If Jefferson indeed thinks of continuing his career in Europe, there are some powerhouses (especially EuroLeague clubs) able to lure the 33-year-old forward/center with a potentially lucrative offer, a significant role on the floor, plus the prospect of playing for a title contender. Over an NBA career of 14 years with the Boston Celtics, Utah Jazz, Minnesota Timberwolves, Charlotte Hornets and the Pacers, Jefferson has averaged 15.7 points and 8.4 rebounds per game. During the previous season, he posted 7 points and 4 rebounds averaging 13.4 minutes per game.